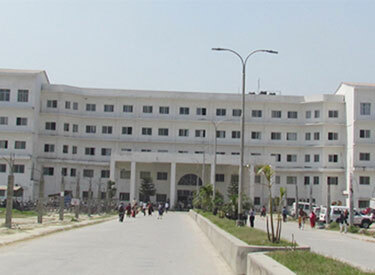 Nobel Medical College Teaching Hospital (P) Ltd. an affiliated to Kathmandu University was founded in 2004. It is located in Biratnagar, one of the major academic hubs of eastern part of Nepal. Its key objective is to impart international standard medical education to the meritorious students of Nepal and abroad enrolled for both medical and paramedical courses. Nobel Medical College, recognized by the Nepal Medical Council (NMC), Ministry of Education, Nepal and Ministry of Health, Nepal, has constantly maintained its academic standards as per the requirements of other Medical councils and Universities across the globe. The Institution is equipped with internationally renowned faculties who are professionally committed in the medical field. Their selfless devotion and genuine contribution have always been supportive towards getting recognition of Medical Councils in the world. Nobel Medical College is listed in the International Medical Education Directory (IMED) and World Directory of Medical Schools (WDOMS).